The youngest member of what may arguably be the funniest family in show business, Marlon Wayans may also be working his way up to becoming funniest member of the funniest family in show business. Regarding the formidable task of living up to the humorous standards set by his siblings, Marlon takes a healthy and positive attitude, considering his family an important exemplary support system rather than an ominous shadow casting impossible expectations. Born in 1972 in New York City, Marlon graduated from the School of Performing Arts in New York before moving on to study film and arts at Howard University. Following the lead of eldest clan member and brother Keenen Ivory Wayans, Marlon was inspired to pursue a career in show business. After taking a small role in brother Keenen's blaxploitation spoof I'm Gonna Git You Sucka! (1988), Marlon joined the cast of Keenen's groundbreaking and trend-setting hip-hop variety show, In Living Color. A natural knack for comedy found Marlon quickly gaining momentum among the cast and refining the skills that would eventually lead him to bigger roles in both film and television. With his role in brother Damon's con-artist comedy Mo' Money, Marlon continued to display his talents for comedy with more substantial roles. Teaming with brother Shawn for television's The Wayans Bros. (1995), Marlon began to expand his responsibilities. Taking on numerous roles -- from writer to director and, of course, star -- Marlon learned the virtues of multi-tasking that would lead him to become a key creative force behind such spoofs as Don't Be a Menace to South Central While Drinking Your Juice in the Hood (1996) and Scary Movie (2000). Wayans gained the majority of positive press earned by the otherwise run-of-the-mill comedy Senseless, and a few even compared him to the likes of Jerry Lewis, thanks to his talent for rubber-limbed humor. Yet Marlon began to seek out more serious roles. "I would do straight dramatic stuff. I'm trained as a dramatic actor," he said. "A lot of people just think I'm funny and crazy all the time, but I went to a performing arts high school, so I'm trained in the dramatic arts. I just happen to be funny." 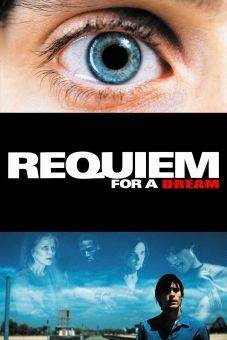 Though Marlon got deadly serious for his role as Jared Leto's drug-addicted friend on a collision course with disaster in Darren Aronofsky's Requiem for a Dream, he continued to display his exceptional gift for comedy by hosting the 2000 MTV Video Music Awards with brother Shawn, and developing the follow-up to his runaway hit Scary Movie. The early 2000s were less benevolent to Wayans. Critics singled out and excoriated him for his foolhardy appearance as Snails in the 2000 bomb Dungeons & Dragons: The Movie. Cited as one of the most wretched films of its year - or any year, by almost everybody, Dungeons barely made half of its thirty-five million dollar budget. USA Today wrote, "Marlon Wayans' performance as a cowardly thief would have seemed in bad taste a half-century ago." As Gawain McSam in the lackluster Coen brothers remake The Ladykillers, Wayans similarly did little more than reinforce an ignorant, filthy-mouthed, jive-talking ghetto stereotype; moviegoers responded slightly more favorably than critics. Perhaps sensing the need to return to his roots for a fresh success, Marlon spent 2004 and 2006 in two family vehicles: the raunchy comedies White Chicks and Little Man, respectively In the former, he and brother Shawn play African American federal agents who go undercover as blonde Caucasian sorority girls to bust a kidnapping scheme. This film climbed the charts to become a top weekend and summer grosser. Little Man, directed by Keenen Ivory Wayans and released in July 2006, uses trick photography and sight gags to turn Marlon into the dwarfish thief Calvin Simms, who attempts to retrieve a fenced jewel by posing as an infant and hiding out in the home of aspiring parents. Once there, he relentlessly torments his would-be adoptive father (Shawn Wayans). 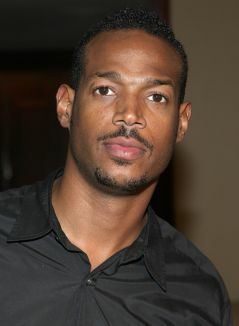 The youngest of the 10 Wayans siblings. Made his film debut in 1988's I'm Gonna Git You Sucka, which was written and directed by his brother Keenen Ivory Wayans. 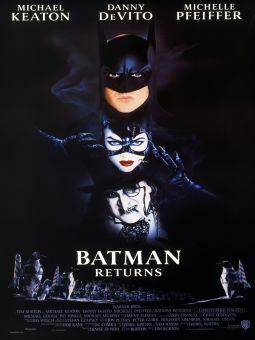 Was set to play Robin in Tim Burton's Batman Returns (1992), but the character was cut from the film. Three years later, he lost out on the chance to play the part in Batman Forever after Burton was replaced by Joel Schumacher, who cast Chris O'Donnell. Has appeared in PSA-like commercials for Dentyne's Safe Breath Alliance (SBA), a mock organization committed to educating Americans about the importance of practicing safe breath.